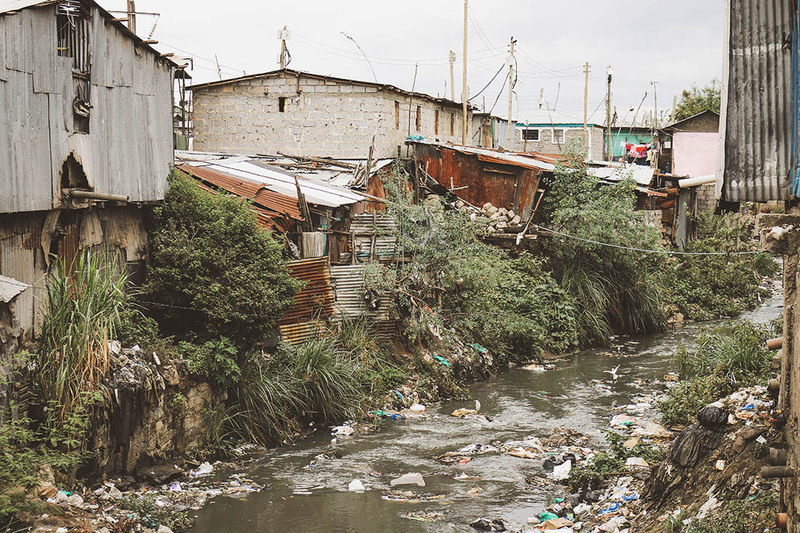 Situated in Nairobi’s Industrial area, sandwiched between Enterprise road and the Ngong River, Mukuru Kayaba with an estimated population of 19 to 22 thousand, is one of the largest section in the cluster of Mukuru slums. Majority of the inhabitants live in tiny one roomed corrugated iron sheet dwellings measuring approximately 3 by 3 meters. 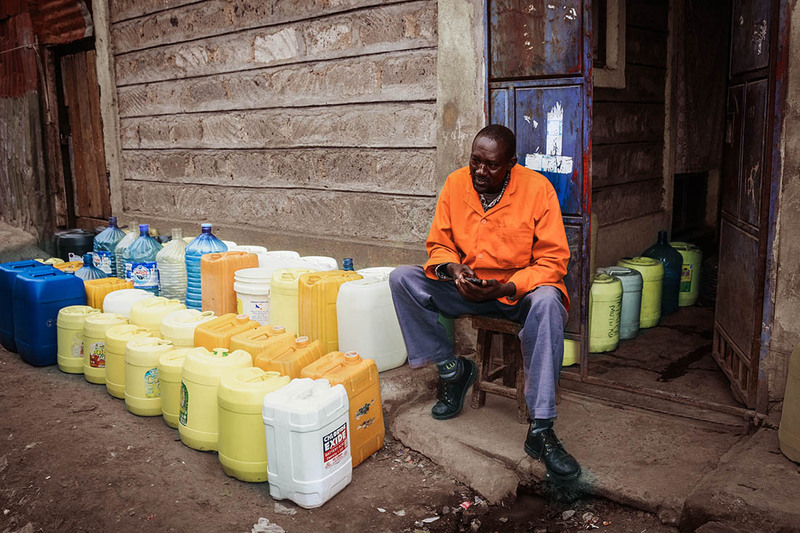 Very few homes have electricity and up to 50 families share a communal water tap and a toilet Latrine. 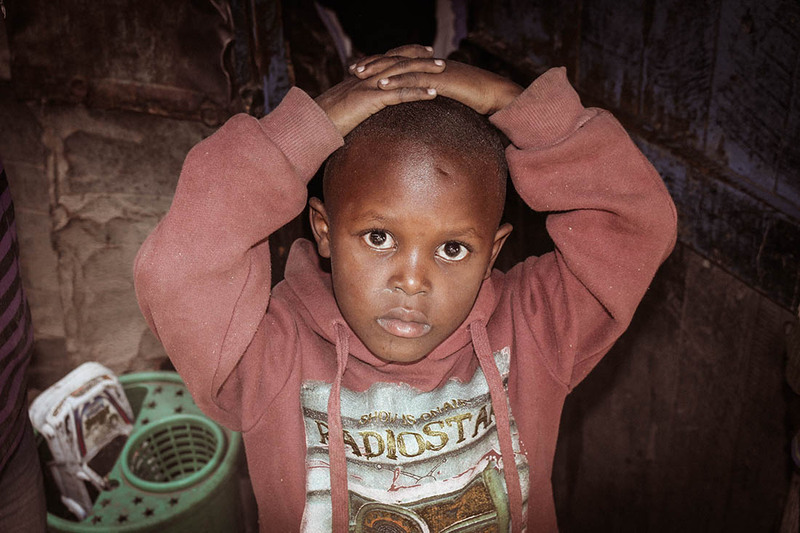 Mukuru Kayaba like many other informal settlements, is fraught with numerous challenges such as crime, air pollution, water shortages, drug abuse, prostitution, fire tragedies among others. Nonetheless, the people of Kayaba working together with government institutions, NGO’s, CBO’s, self-help groups and churches have been able to tackle these challenges, subsequently there has been great improvement in the community. 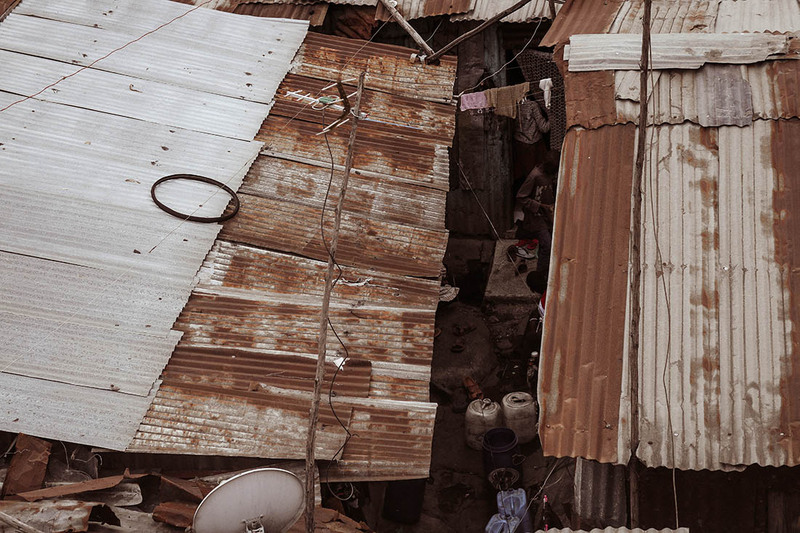 The slum has been my home since I was 5. I enjoyed growing up here, a place where you’ll always find people with a big smile, very friendly, welcoming people, no matter the challenges they face. Despite people coming from different ethnic groups across the country, there is a great camaraderie among the residents of Kayaba. People are very supportive and they will even go that extra mile and share their food, sugar, match box, ugali flour etc. 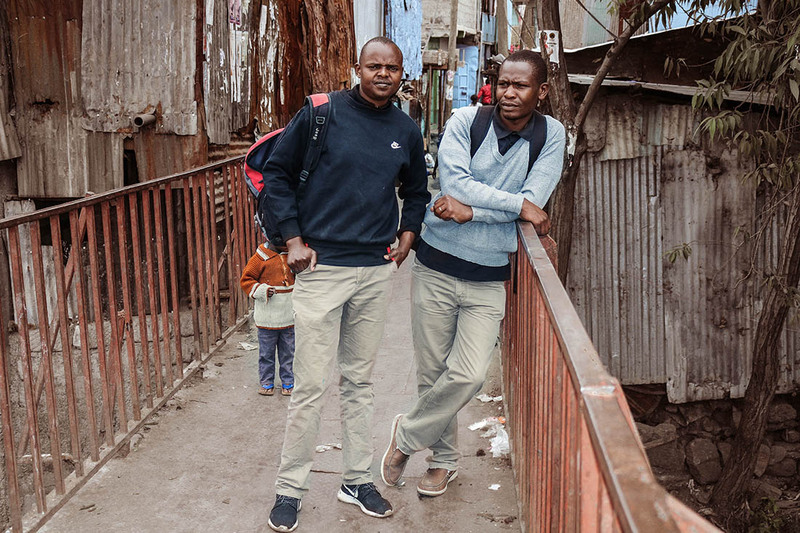 Every time I take a stroll through Kayaba, I always meet people with such a positive disposition towards life. A few weeks ago I had the opportunity to visit kambi moto – my former hood and the section of Kayaba where I grew up. Below are some inspiring photos and stories of some of my friends and old neighbors. 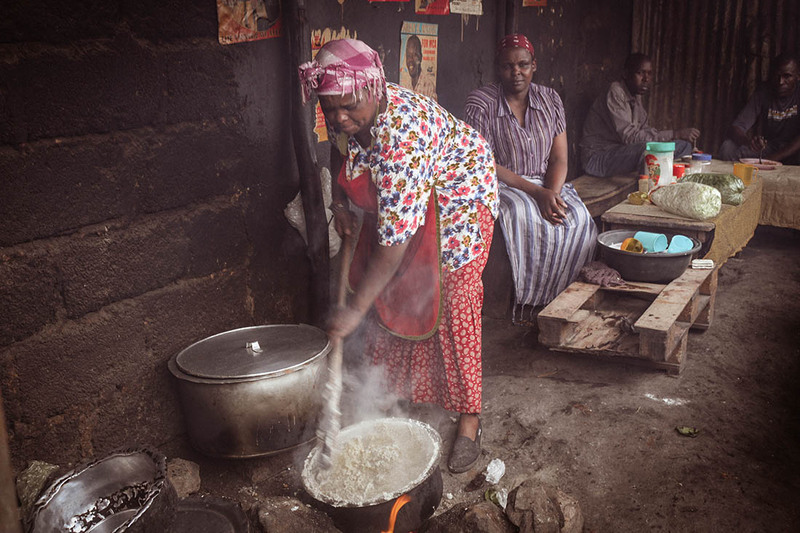 Mama Mwangi is a very hardworking woman, seen here cooking Ugali (a Kenyan staple prepared from maize flour or millet) for her customers in her small kiosk hotel/restaurant. She manages the kiosk by herself. She prepares the food using fire wood which is also used to warm the food. She’s got three kids, two in High School while one dropped out of school. Together with her husband, a casual laborer in Industrial Area, they are both working hard to create a brighter future for their kids. The business has been able to sustain her family and also supplements what her husband earns. 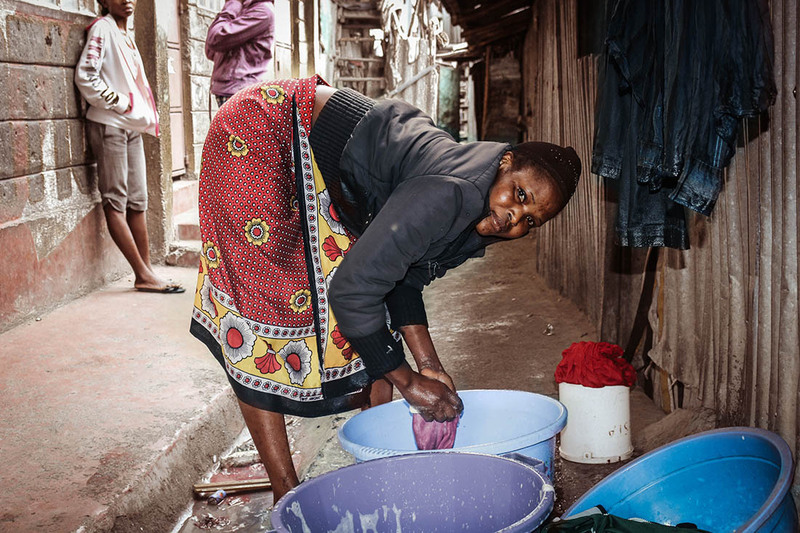 A single mother of six, Mama Robina has worked hard on her hotel and managed to sustain herself and family. Her two daughters dropped out of school due to early pregnancy and subsequent early marriage, three of her boys are still in school and one little 3yr old girl is in Kindergarten. She’s very passionate about what she does and has a great desire to see her kids have a bright future. 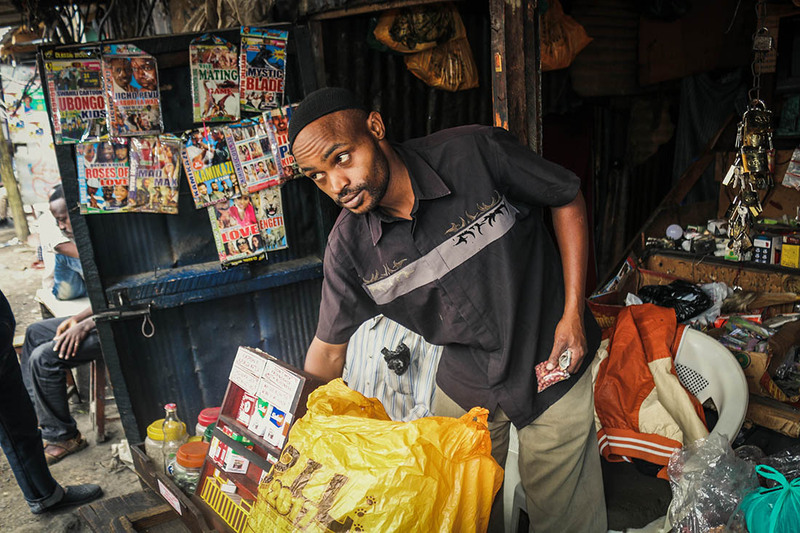 Mali mali is a business street lingo that means selling various goods and accessories for a cheaper price. At Vaite’s you can buy household items such as padlocks, bulbs, foodstuffs for an affordable price. 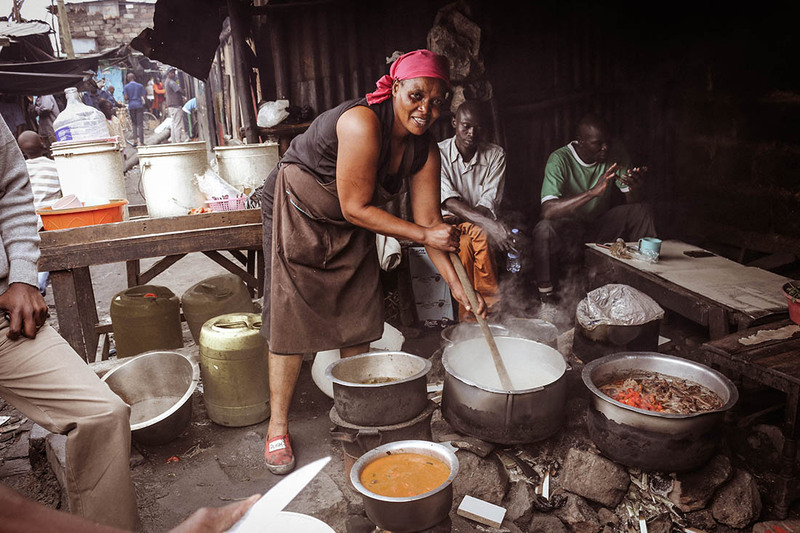 In Kayaba like other slums in the Kenyan capital nearly all fresh products are sold in little kiosks run by women vendors known as “Mama Mbogas”. 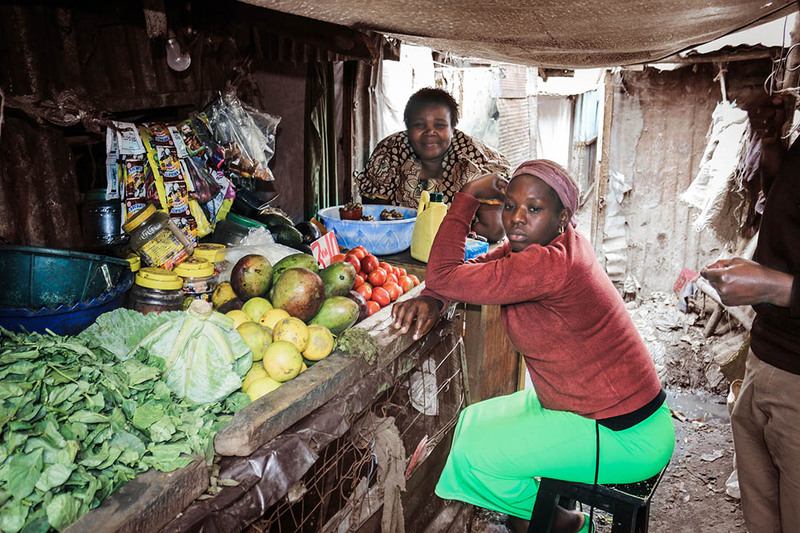 Mama Mbogas have to wake up as early as 4 in the morning and commute to and from the market to get the daily stock of fresh products they need to sell in their kiosks. 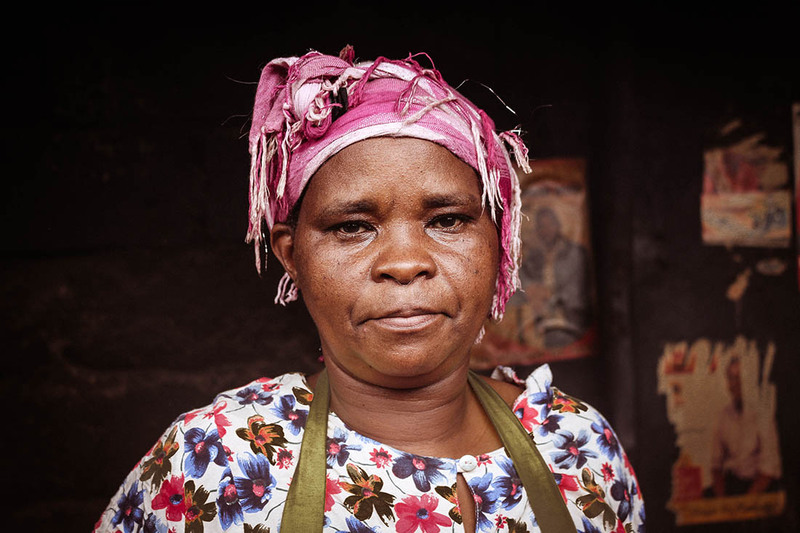 Mama Irungu is a Mama mboga and works together with her husband who manages a hotel/kiosk. 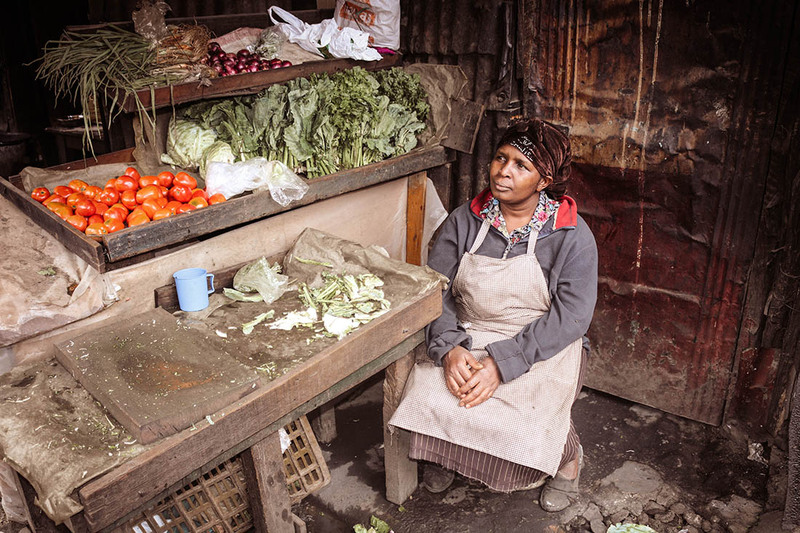 She sells Sukuma wiki (collard greens) a very affordable vegetable whose Swahili translation literally means ‘push the week’. Sukuma wiki is a staple food item in Kayaba as it is across the nation. Together with her husband they have two kids still in primary school. 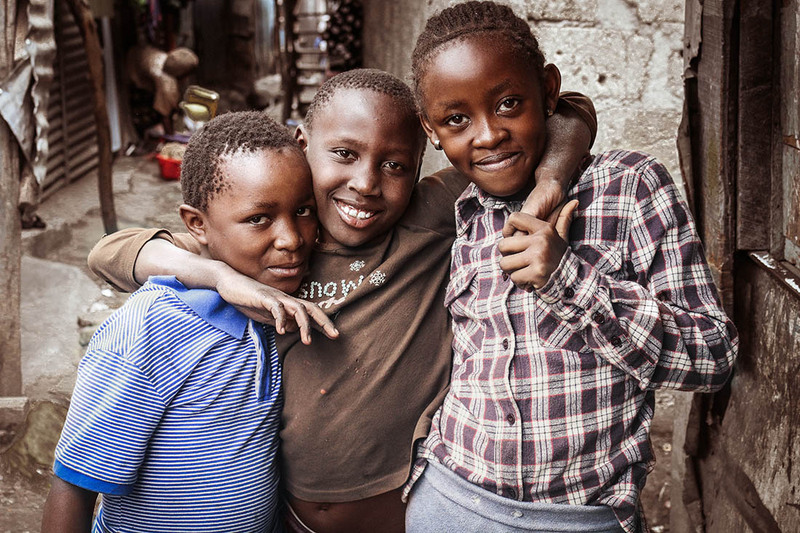 Mama Irungu like other residents in Kayaba hopes her kids can successfully attain a good level of education and secure a bright future. 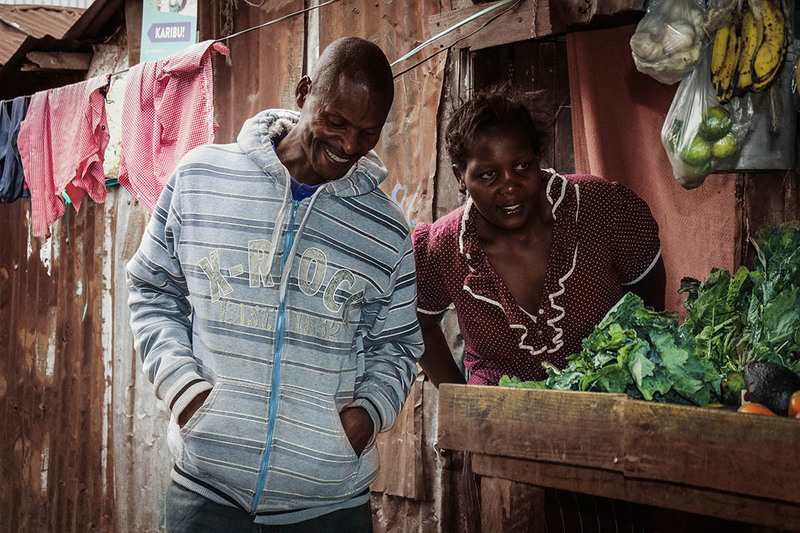 Another Mama Mboga Judy with her husband Gekonge outside their house which also doubles up as a kiosk. Sitting patiently by her stall waiting for customers. It is estimated that there are over 80 000 Mama Mboga’s in Nairobi. 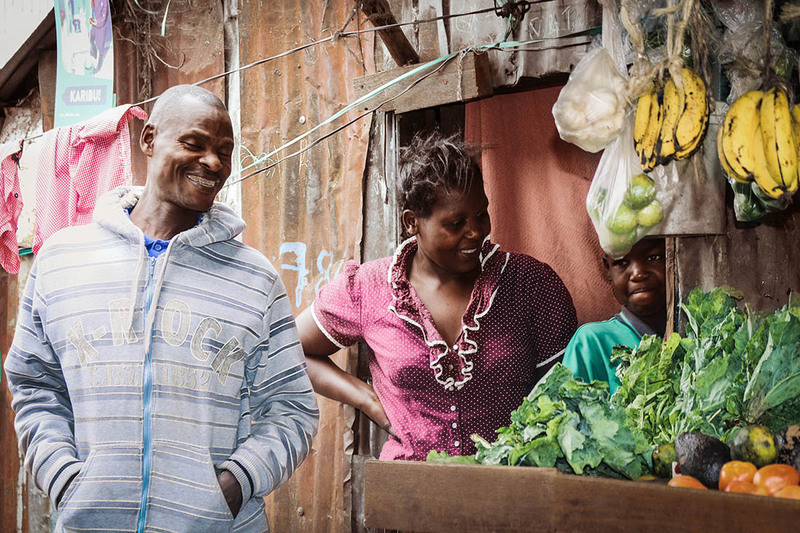 The Mama Mboga business is major source of income for many residents in Informal settlements. Chipo Mwitu is a street lingo used to describe French fries. The nick name chips mwitu is derived from the word Msituni as the chips are made by the roadside and are relatively cheap compared to those prepared in a restaurant. The fries are not prepared in the conventional way. 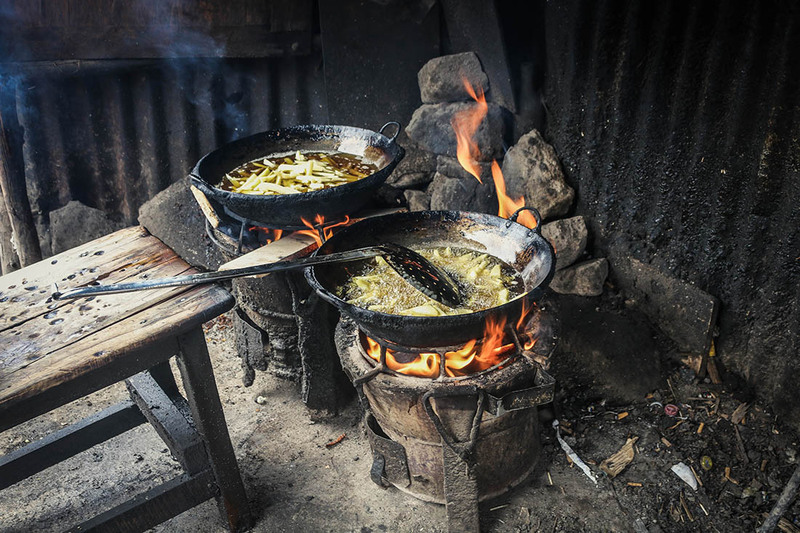 Wood is the main source of fuel and since people in Kayaba cannot afford the french fry cutter, the potatoes are cut manually. Chipo mwitu was my very first taste of french fries thanks to Baba Chege, who has been serving the residents of Kayaba with this delicacy for the last 15yrs. 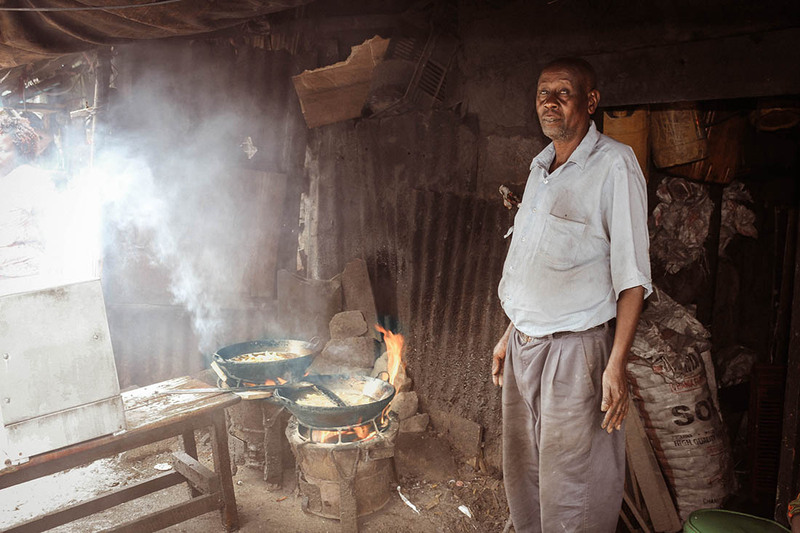 Kamama is a mother of many, especially for those who’ve lived in kayaba since early 90’s. I call her my mother because she happened to be a good friend to my Mama! I respect her dearly. When my mom passed on early 2004, she filled the gap by becaming my (and my siblings) foster mother. She is a mother of 5, though unfortunately lost 2 of her children some years back (A son and daughter) the son in a crime scene and the daughter through illness. Her three daughters are now grown-ups, she stays with two ladies, whom she has helped establishing business for. 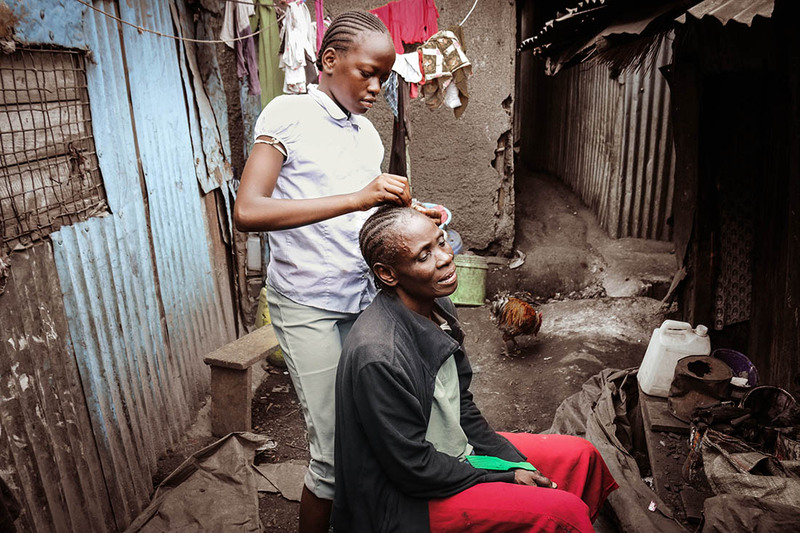 One a beauty salon and the other an M-Pesa agent. Kamama manages a Freshlife toilet project. It’s a small scale business project as well as a social initiative. 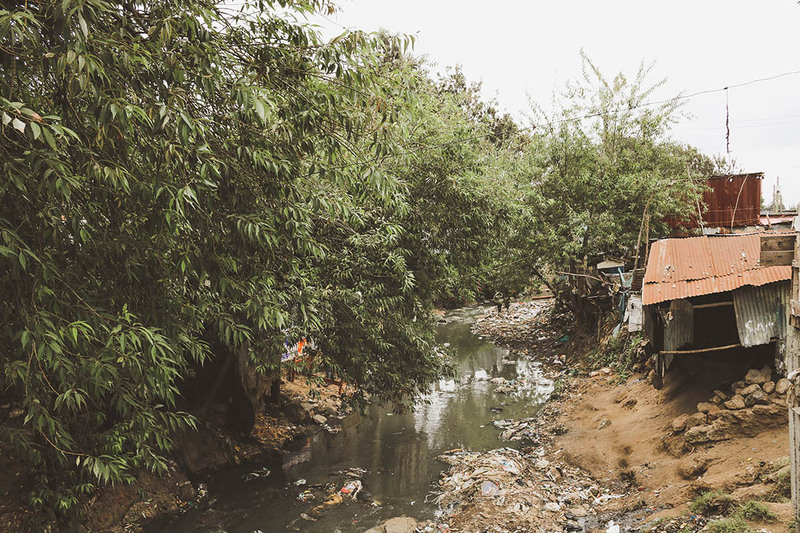 Thousands of slum-dwellers have limited access to proper hygienic sanitation. A company called Sanergy manufacturers latrines called ‘’Freshlife’’. 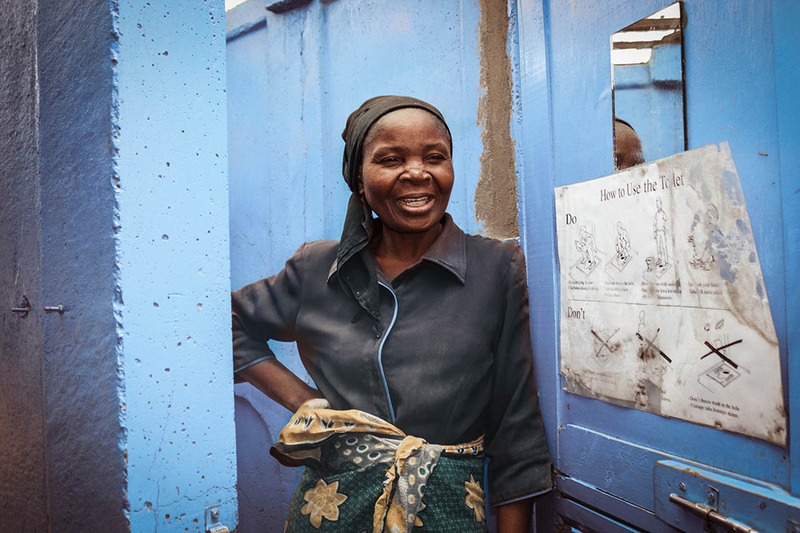 The company has built a network of Fresh Life Operators – local residents who purchase and operate the sanitation facilities. 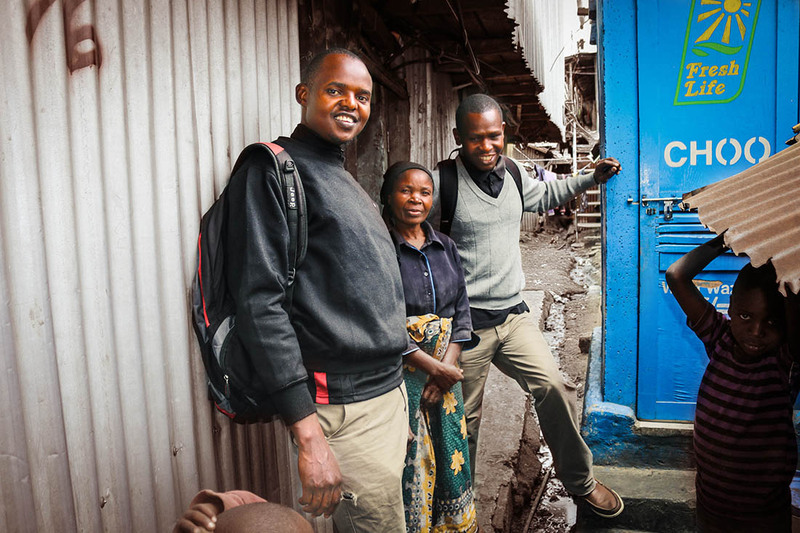 The operators become franchise partners: the company provides training, access to financing, ongoing operational and marketing support, and a daily waste collection service. Nyakisum used to be our neighbour for the last ten yrs. Neighbours nicknamed her Nyakisum because she is originally from Kisumu and her unmistakable luo accent. Mama Rispah used to my very good neighbor. I remember borrowing salt and matchsticks from each other. 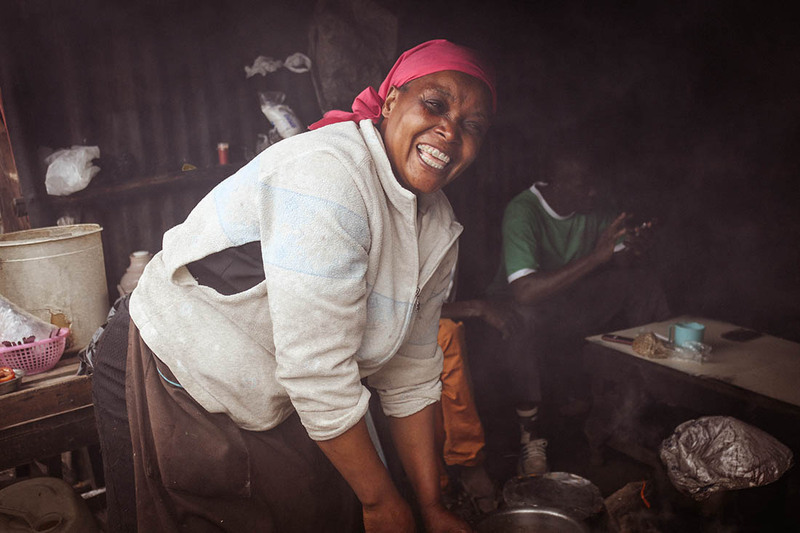 A mother of 4, she has raised her children single handedly with her charcoal business after separating from her husband back in 1996. Her daughter Rispah is now married. Her last born son is in lower primary, her other daughter is a teacher while the other is pursuing an Education degree at one of the local Universities. John has been a good friend since my childhood, he has a shop we call ‘’john wa duka’’. John has a big family which resides up-country in his rural home. 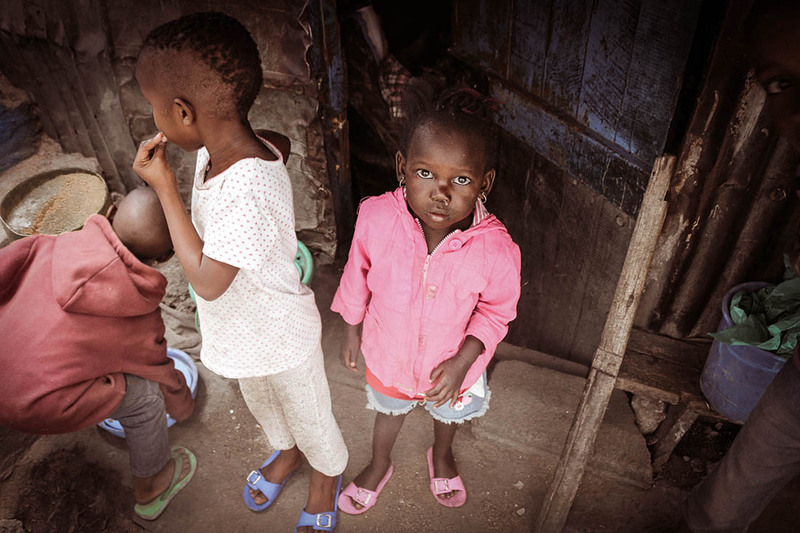 The low income of many residents in informal settlements means they have to sparingly use their wage to meet all their daily needs. This has made business people shrewd as they have resorted to packaging basic commodities in small quantities affordable to the people. 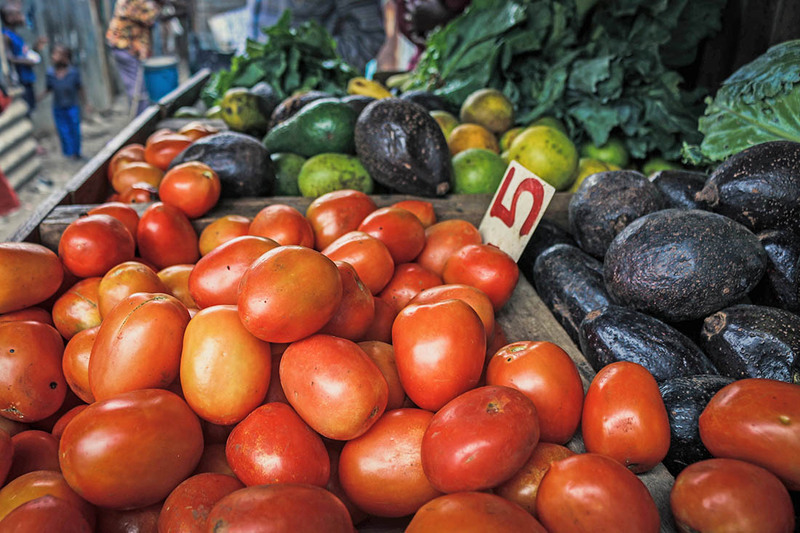 It is referred to as the ‘kadogo’ economy that basically means selling goods in very small and affordable quantities. You can also buy items on credit and pay at the end of the month. John has been doing the business for the last 25yrs. 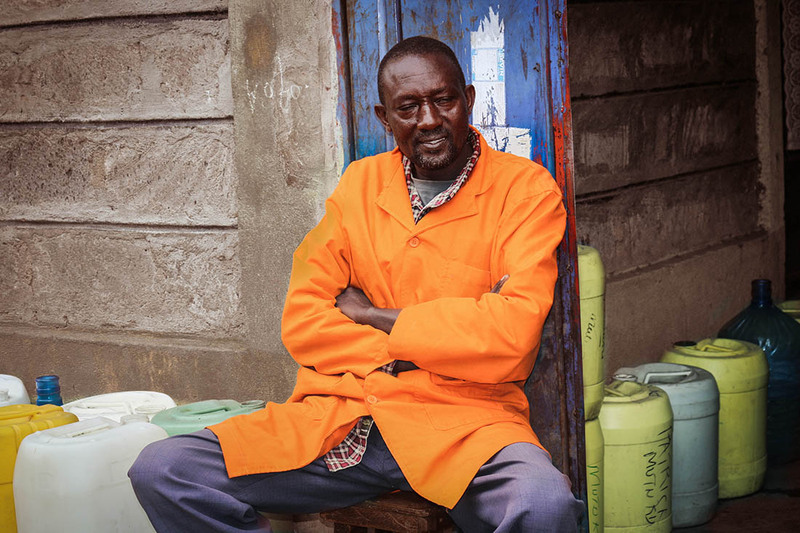 He is also a water vendor. 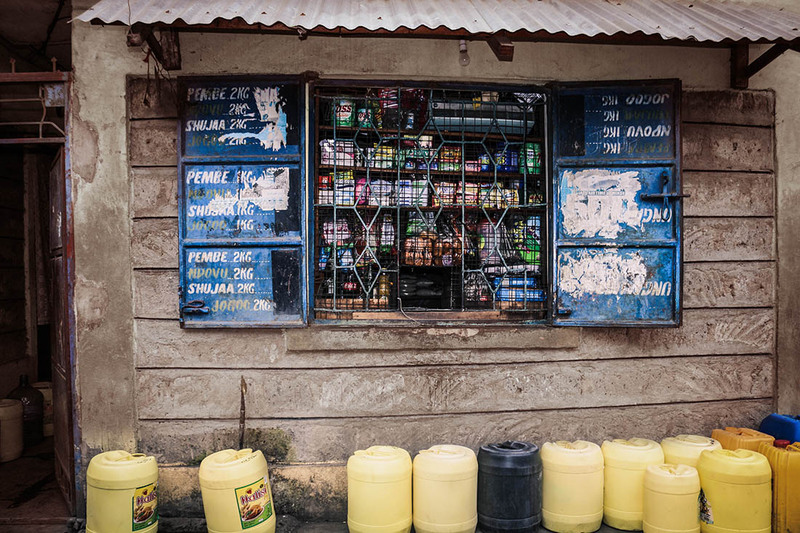 A 20 litre jerican of water goes for is Kshs 5 ($0.05) but when there is a shortage the price goes up to kshs 10 ($0.10), and even to kshs 20 ($0.19). 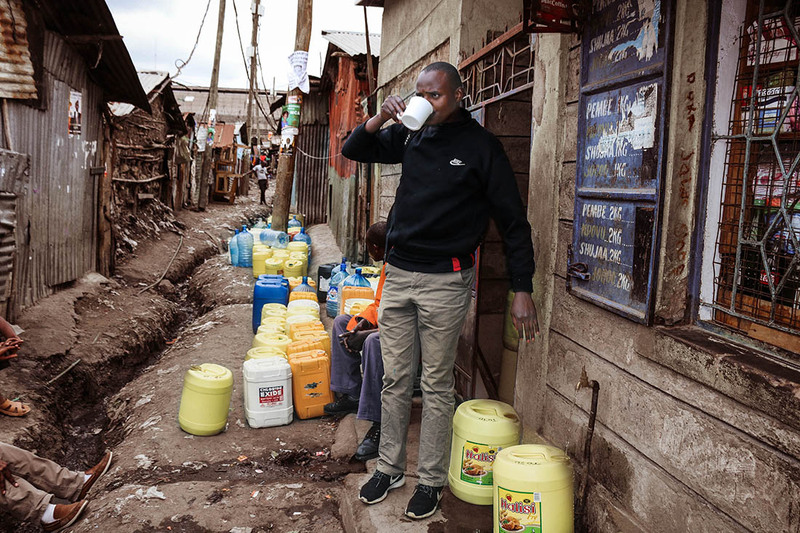 In the many informal settlements, there is no such thing like boiling or treating water, you drink direct from the tap. I have been drinking this water and never fallen sick. 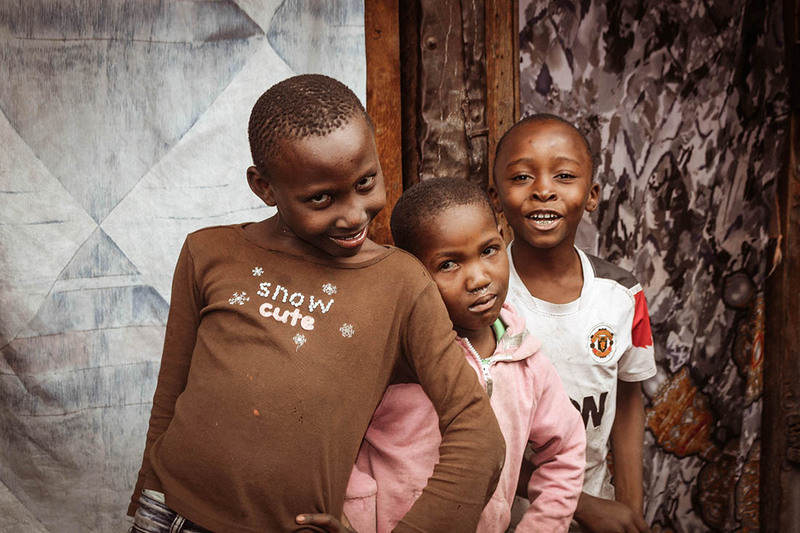 Life in Kayaba is no blitz and glamour, but the sparkle in the kids eyes tells you different. 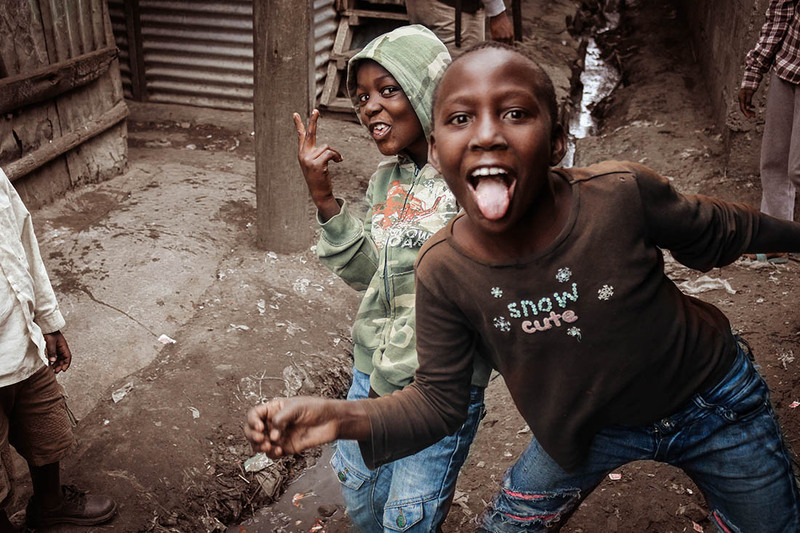 It is a place where kids are full of laughter and smiles, love and spirit, hope and contentment. These girls are playing a game called Koraa. 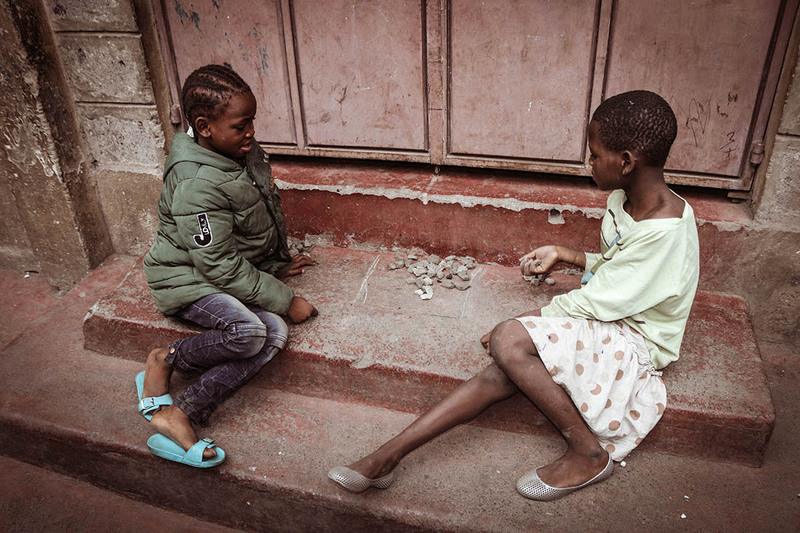 It’s one of the common games for girls in slums across the city. The Ngong River is a salient feature in Mukuru as it traverses the slums mainly at Viwandani, Kwa Reuben, Kwa Njenga and Kayaba. 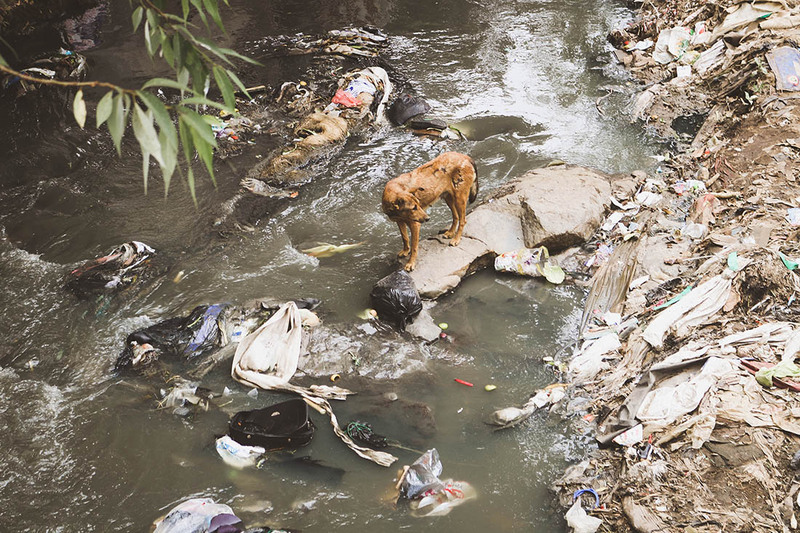 Encroachment and pollution especially from Industrial area and the many informal settlements along its banks has sadly seen the river transform into what can aptly be termed as an open sewage. 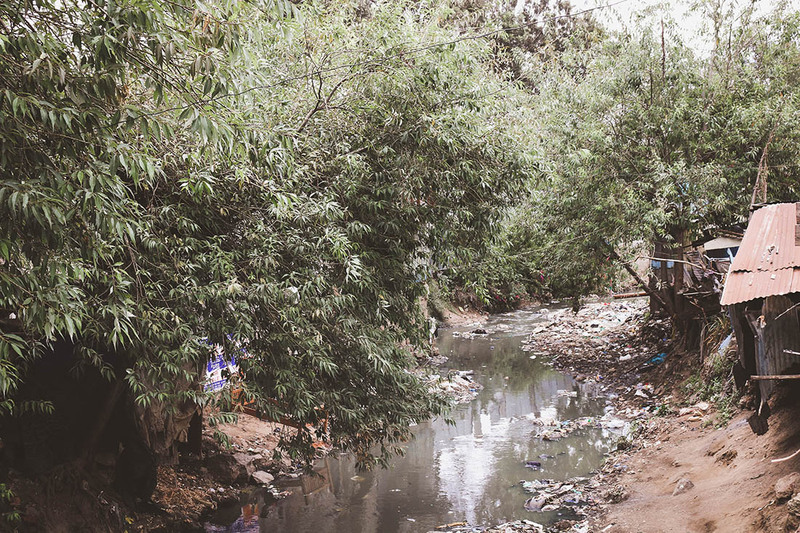 As kids, as far as we were concerned, Ngong River was never filthy. I remember swimming in the river especially after a heavy downpour. 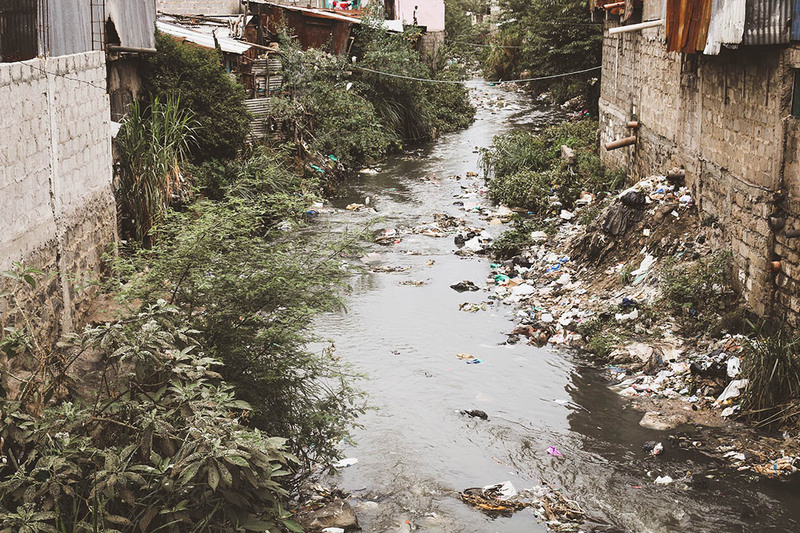 The gushing flood waters would sweep the sickly green like murk and all the trash momentarily giving the river a fresh lease of life. We even used to fish in the river. The rains would also carry water hyacinth from Nairobi dam where we would discover fish entangled in the weeds. Despite the swollen river causing floods, specifically to houses right on its banks, we kids would be giddy with excitement. It was time for adventure. From swimming, boating on make shift rafts reinforced with Styrofoam, fishing and Kuchemba (looking recyclable items such as iron, plastics and sell it to manufacturing companies), everything you can think of. I remember experiencing cuts on our legs, piercings from syringes dumped in the river etc. We did not know better … but all in all that was part of our daily lives. That’s very true, I have been in the slum, raised in the slum, have seen a lot, and I thank God the slum wasn’t born in me. Jesus saved me, a poor sinner who had no hope, my life was turned around to a life full of hope, joy and happiness. It doesn’t matter where you are now, the one and only greatest thing that matters to God most is eternal destination.. I returned, and saw under the sun, that the race is not to the swift, nor the battle to the strong, neither yet bread to the wise, nor yet riches to men of understanding, nor yet favour to men of skill; but time and chance happeneth to them all. Bonface Nyangweso is a social worker, community leader, entrepreneur and a minister of the Gospel. 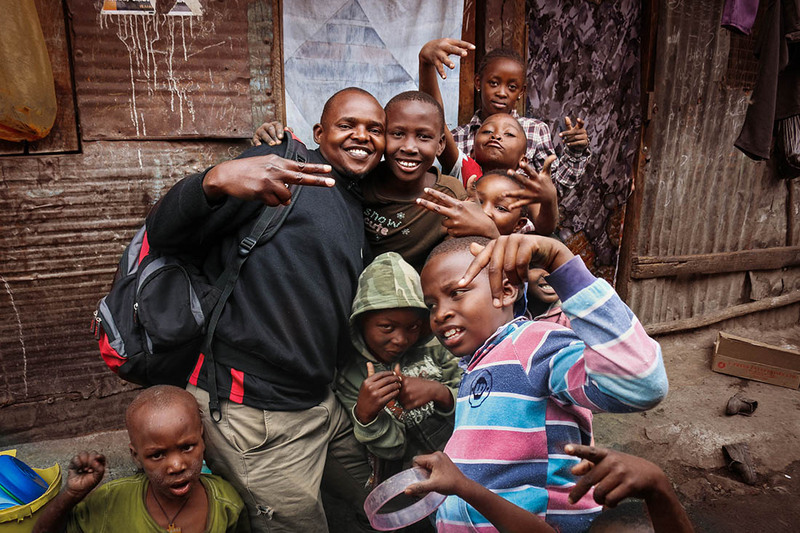 Back in 2002, he started recruiting young people in Kayaba with the aim of forming a self-help group. By 2009 the self-help group had transformed into a community based organization and is credited in building the first Human Resource Center in Kayaba courtesy of sponsorship from the Erko Organization. The center has provided the residents of Kayaba especially young people and students with reading and research materials. He is the founder of Makbiyr Delivery Services and co-founder of the Kayaba Youth Association. Such a beautiful narration, such captivating images. Keep up the good work. This a good read.Heading far indeed. Im inspired and iv been challenged in many ways.Good Job Boni. Wow I love service and this is great. Continue putting a smile on peoples faces. Thank you Nyangweso well said. Thats our home. I really liked your article it is inspiring. Thank you for such a wonderful blog. 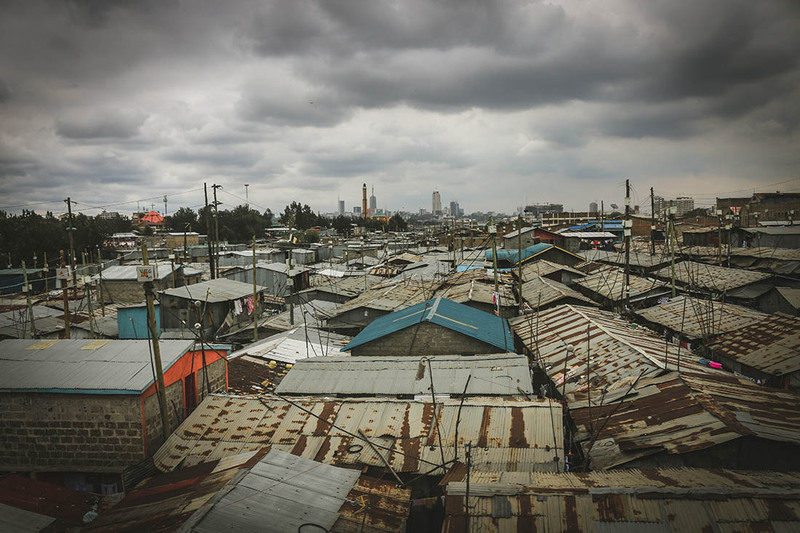 Many years ago, i lived at Riverbank South B estate where the Mukuru slums were very close by. I am especially intrigued by the so many hardworkers and i am really inspired. 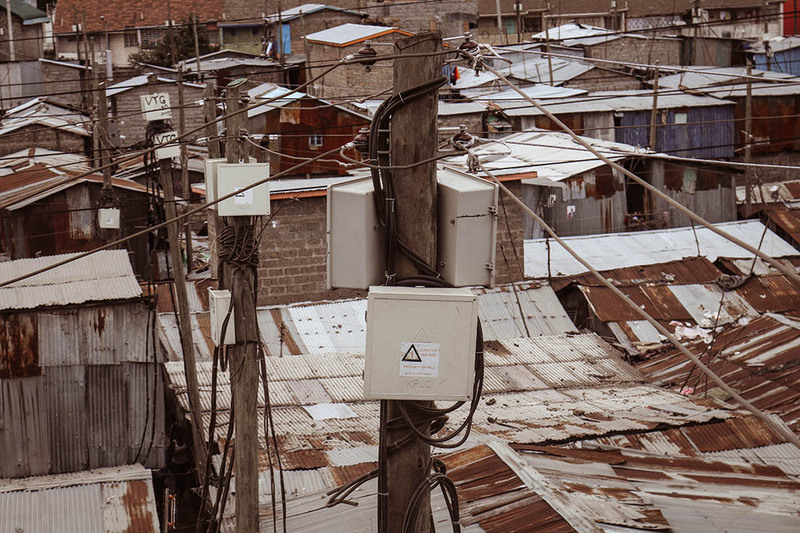 Thank you on the article on Sanergy, such services are needed in my parts of Kenya too! Great, looking forward to interacting more with this blog. Thanks for sharing this info. it’s really nice. 2015. All images and material on the site are property of Safari254.com, unless otherwise indicated. Copyright ©, Safari254 All Rights Reserved.